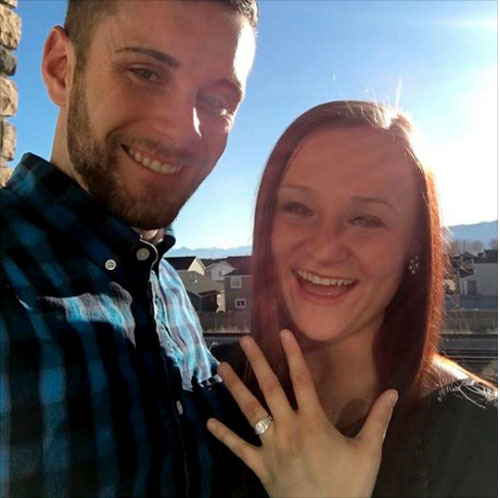 They say, "The best laid plans of mice and men often go awry” and that's certainly the case for Greg Nottingham, whose perfectly planned marriage proposal took an unexpected turn of epic proportions. The Provo, Utah, resident had picked a glorious day, the perfect diamond engagement ring and a scenic riverside setting for a romanic picnic with his girlfriend of five years, Sax Brinkley, and their dog, Bella. What's more, he also arranged for some friends to secretly photograph the exact moment Nottingham would pop the question to the love of his life. At first, everything seemed to be going swimmingly. When the timing was just right, Nottingham smoothly pulled a ring box from his jacket pocket and went down on one knee. As he opened the box, it became frighteningly clear that something very important was missing. "There's nothing in it," exclaimed Brinkley as her mortified boyfriend froze in horror. Fortunately for Nottingham, Brinkley has a wonderful sense of humor. All she could do was chuckle at the classic blunder. Trying to make the best of a bad situation, Nottingham joked, "This is the part where I get down on one knee and show you a really pretty ring." Nottingham had picked up the wrong box on his way to the picnic and left the actual engagement ring at home. Despite the epic goof, Nottingham was undaunted as he continued with the marriage proposal — ring or no ring. "Will you be mine forever and always, and for the rest of your life?" he asked. Then he lifted her into his arms. 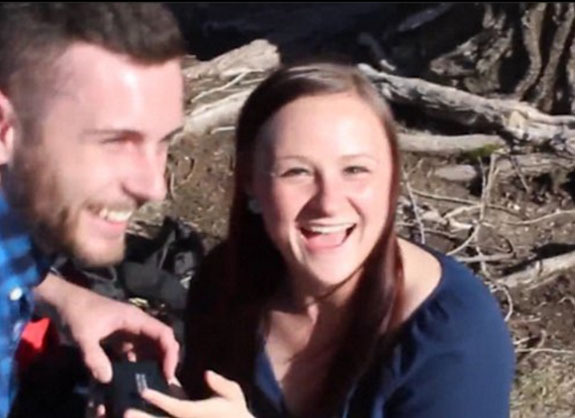 As their friends filmed the couple, Brinkley wore a wide grin and repeated, "He forgot the ring! He forgot the ring!" "I got the wrong box," he said. "Before I left the house, I put this coat on and just felt the pocket, which had a box in it. I didn't think to check it. The box I picked up was the gift box. The box with the ring [was] in another jacket." After the picnic, the couple dashed home so Nottingham could give Brinkley her engagement ring. From the photo posted on Brinkley's Facebook page, it was clear the bride-to-be loved her new bling. Despite the happy ending, Nottingham realized that his embarrassing story is now part of marriage proposal folklore. Credits: Video screen capture via Mail Online; Facebook/Saxanie Brinkley.